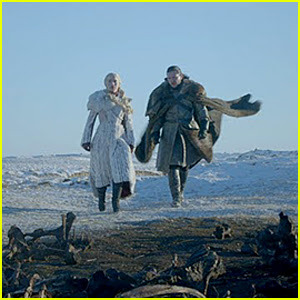 News and Spoilers: ' Game Of Thrones ' Season 8 Premiere - What Time & Where to Watch?
' Game Of Thrones ' Season 8 Premiere - What Time & Where to Watch? 'Game Of Thrones' Season 8 Premiere - What Time & Where to Watch? It’s Game of Thrones Day! At last, the first episode of Season 8 of the massively popular HBO series premieres tonight (April 14) at 9 p.m. on HBO. The episode has an estimated running time of 54 minutes. The first two episodes of Season 8 will be slightly shorter than the rest of the episodes in the season. The last four episodes will be longer than the show’s usual runtime. Click here to see the Game of Thrones episode schedule and estimated running length for the final season! If you need to catch up, all previous episodes of Game of Thrones are available to watch via HBO Now and HBO Go. HBO 2 is also currently finishing a marathon broadcast of all seven seasons from 1:30 p.m. to 6:30 p.m. just before the premiere.